The Impossible PX Shade was developed for use with folding Polaroid™ SLR (SX-70 or SLR 680) cameras to immediately and easily shield your Impossible images upon ejection. 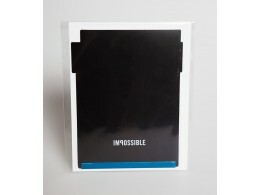 This will greatly improve the results your receive with Impossible film. It does not work with the foldable Polaroid™ One 600 model.